I've been really tired and cold this week. In fact if I thought I could get away with it, I would just get up and wrap my duvet around myself as I went downstairs. There are problems with that of course. I could trip. I could get jam and toast crumbs on my duvet. I would look stupid. Cecilie Bahnsen makes clothes that are big and pretty. 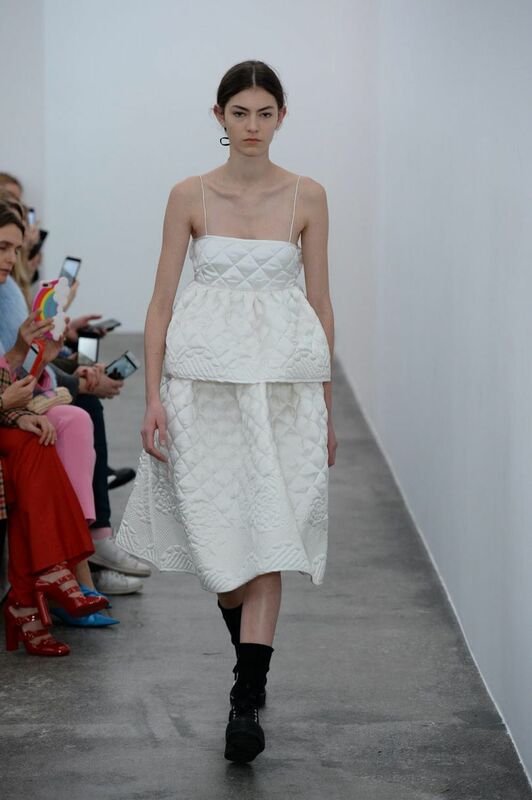 That voluminous full skirted look has a Molly Goddard vibe but I've got no problem with that. For her AW18 collection she continued in that direction. 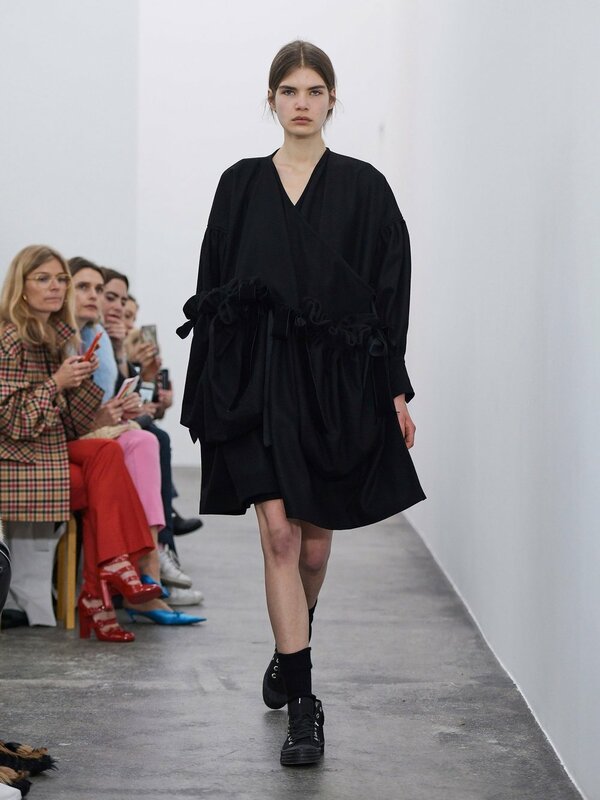 This season, showing in the gallery space where she presented her Spring 2018 collection, Bahnsen made great use of rich black velvet and quilting for her favorite peplum tops. There were drama-filled dresses with the addition of piping, and heavier knitwear worn with another one of her favorites, a fil coupe skirt. Her sheer items were layered over cotton T-shirts and shorts, which gave them a sense of cool tomboyishness not necessarily associated with the Bahnsen DNA. Fresh hints of sexiness came by way of open-back dresses tied with wisp-thin strings.